Fota Island Resort will play host to the annual Network Ireland Cork Branch Business Woman of the Year Awards and Black Tie Dinner on Friday, 11th May 2018, starting at 7 p.m.
Network Ireland Businesswoman of the Year Awards celebrate the excellence, professionalism, vision and leadership of its members during May and June. 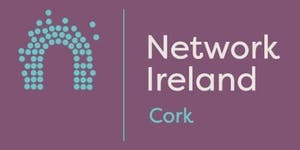 Each of the regional branch winners will then go forward to compete at the Network Ireland National Business Awards. Guest speakers on the night will be International Fashion Designer Louise Kennedy & Caroline Kennedy of Kennedy PR + Brand. The Tipperary natives are the personification of successful sisters with an inspiring story of sibling friendship and support as they established their respective career paths in the worlds of fashion and public relations.